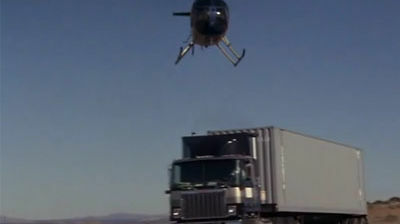 A movie producer hires Santini Air for a dangerous stunt involving the landing of a helicopter onto the roof of a moving semi. Dom and String nearly come to blows, however, when String tries to convince Dom that his reaction time might not be up to snuff for this particular action sequence. Things get even more dicey when it appears that the production might just be an elaborate cover for a high-stakes gold heist.